As soon as I got Beatrice Alemagna's book Bugs in a Blanket, I knew I had to make a tapestry! 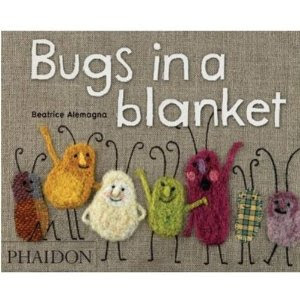 The little fabric and wool bugs in the book are so cute and have so much personality. The book is also great - a little reminder that although we are all different, we can still be friends. A perfect kindergarten concept. 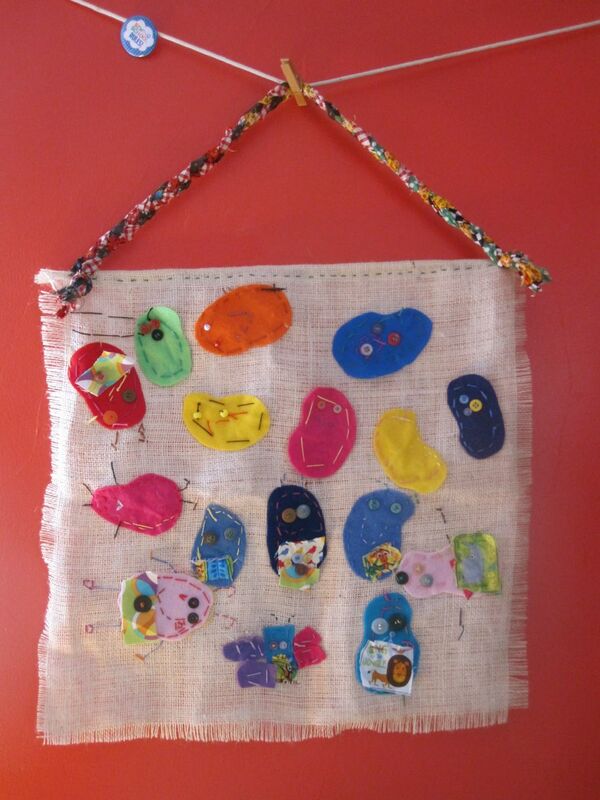 Each little bug on our tapestry carries the personality of each child in my class this past year. I may have to make this project a tradition. 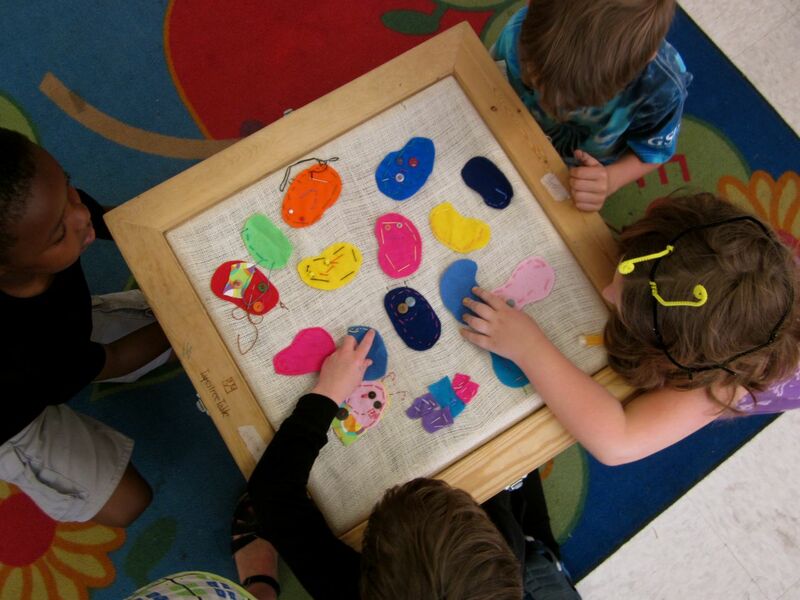 We were a little pressed for time at the end of school, so I precut bug shapes out of felt. 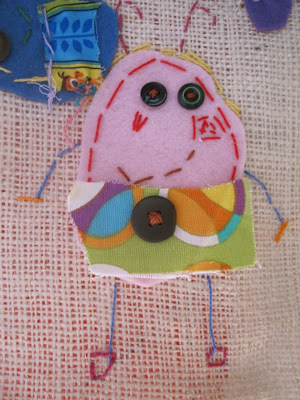 The kids then personalized them with buttons, fabric, and craft thread. 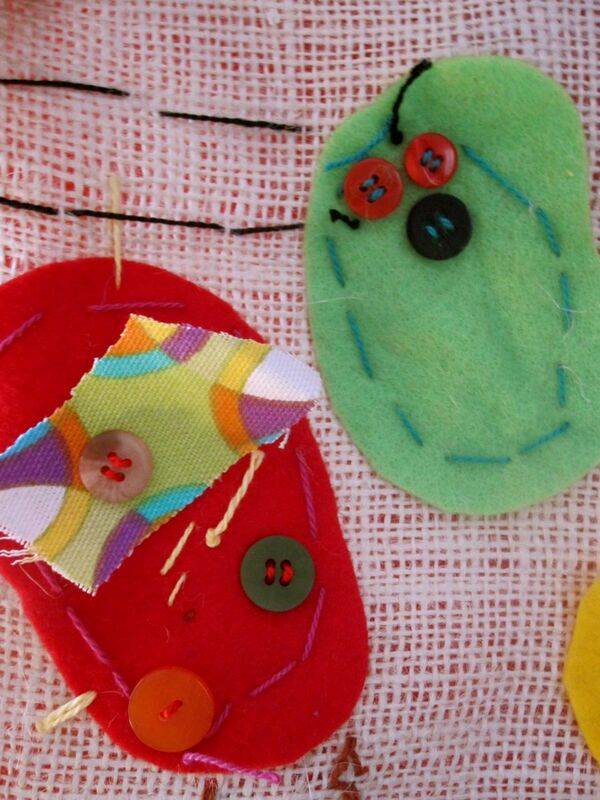 After having just embroidered, they had all the skills they needed to make their bugs super cute! I never get tired of seeing my students sew together on the tapestry table. 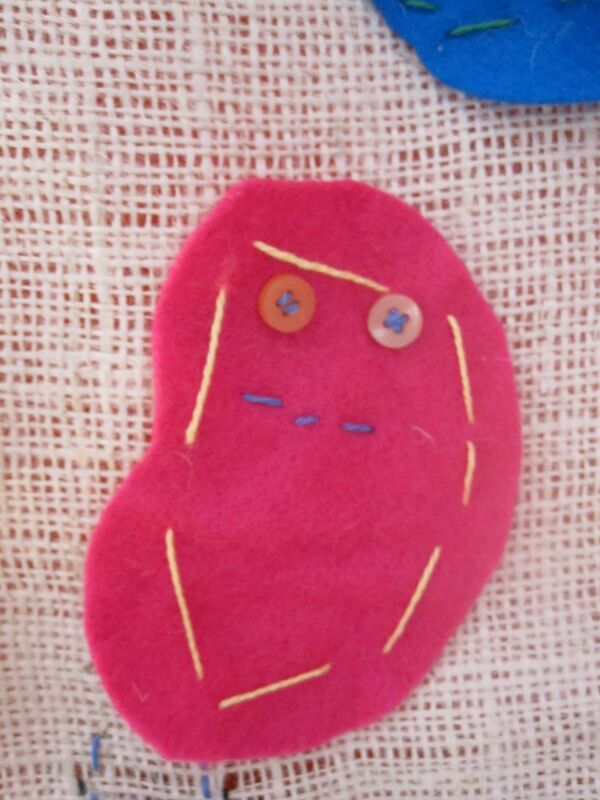 Kristin will show you how to make one of your own. What an adorable collection of bugs! And I love those book illustrations. I ended up buying a huge embroidery hoop for this after your last tapestry table post. It's perfect for two and can fit three but I might have to follow Kristin's lead! How did the hoop turn out?! What did your kids make? Love this idea! This fall I am going to be teaching a class on how to make stuffed animals from socks. At the beginning of the class, I need to demonstrate some basic sewing techniques for kids to practice. I think this bug project would be perfect for that! I'm so glad I found your blog and am looking forward to reading more posts! Francifularts - Thanks for your comment. What a fun idea to get kids ready for sewing. I am also interested in your sock animals - I hope that you'll be posting those projects on your blog!